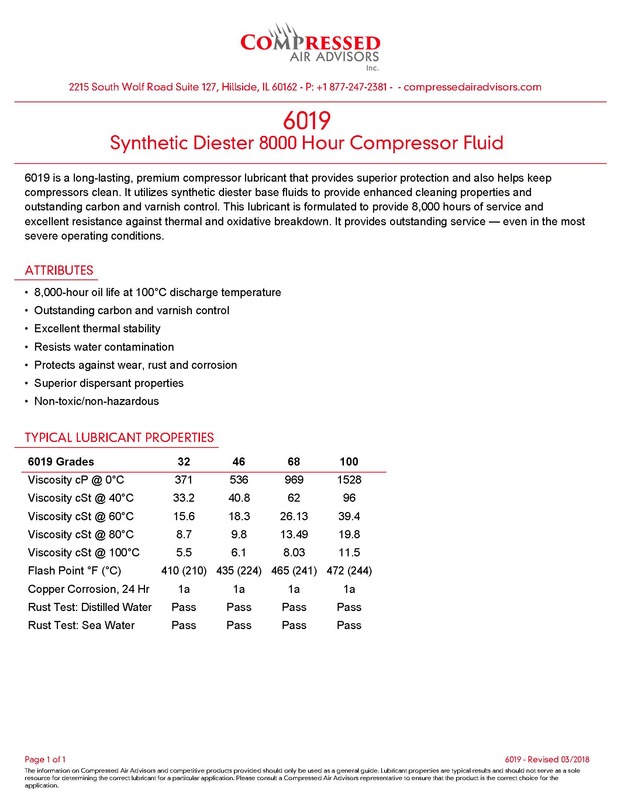 CAA-6019-100, is a long-lasting, premium compressor lubricant that provides superior protection and also helps keep compressors clean. It utilizes synthetic diester base fluids to provide enhanced cleaning properties and outstanding carbon and varnish control. This lubricant is formulated to provide 8,000 hours of service and excellent resistance against thermal and oxidative breakdown. It provides outstanding service — even in the most severe operating conditions.